Abhyudaya represents the 3rd generation of one of India’s oldest and most respected business families. He completed his undergraduate degrees in Business Administration from Georgetown University in Washington, DC. After working abroad for over 7 years, Abhyudaya returned to India with an insatiable desire to create unique academic institutions with the kind of world class infrastructure and pedagogy that produces international calibre talent. FX School is the coming together of Abhyudaya's unending passion towards providing cutting edge education and an innate ability to inspire and bring the best people together for a common goal. One of the most respected people in the Digital Entertainment Industry, CB Has been working in various capacities in the Animation & Broadcast Industry in India for the past 23 years. 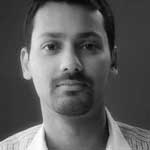 CB is a graduate of The Mass Communication Research Centre (MCRC) at Jamia and thereafter taught film editing and broadcast technology at MCRC. 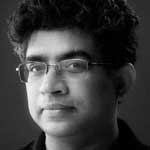 He has held senior positions with Television18, TVI (Business India), Aaj Tak (Living Media), Doordarshan and Vijay TV (now Star Vijay), Maya Entertainment Limited (Vice President) and Pixion (Head of Animation and VFX Operations). He also set up the Moving Picture Company's Animation Division and worked on the first Indian animation series "Gayab Aya" (Doordarshan) and India's first original 3D animation series, "Jungle Tales" (Cartoon Network) CB displays a penchant and a passion for Photography. He is one of the leading photographers of the world specializing in digital panoramic imaging and Quick Time VR. He was awarded the National Award for Best Director of an Animation Film (2005) for “Kachua aur Khargosh”.